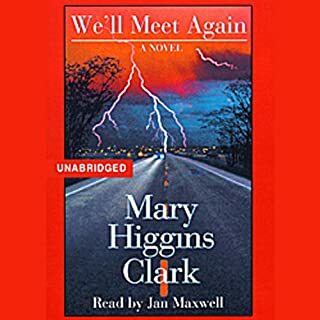 I have read several Mary Higgins Clark novels and have enjoyed them. Which is why I decided to try "We'll Meet Again" ala Audible. I was not disappointed by the novel in itself, nor was there anything lacking by the actor Jan Maxwell, whose voice appeals to me a lot. All that said I think the editing of the novel lacked flow, or rather too much flow. Many times while listening to the book I would find myself wondering how we got to where we were. I wondered if my mind had wandered off. I would have to back up to a point where I understood the story and then would continue forward to a point where it dawned on me that the chapter had changed. There was so little pause, that the next chapter sounded like the next sentence. A bit annoying whiling driving.